Reason for selling: I upgraded after dealing with this phone for a few months in this condition - prior to damage, worked well. Extra Info: Board is probably the only good thing on this phone. Battery randomly doesn't hold a charge and gets very hot. 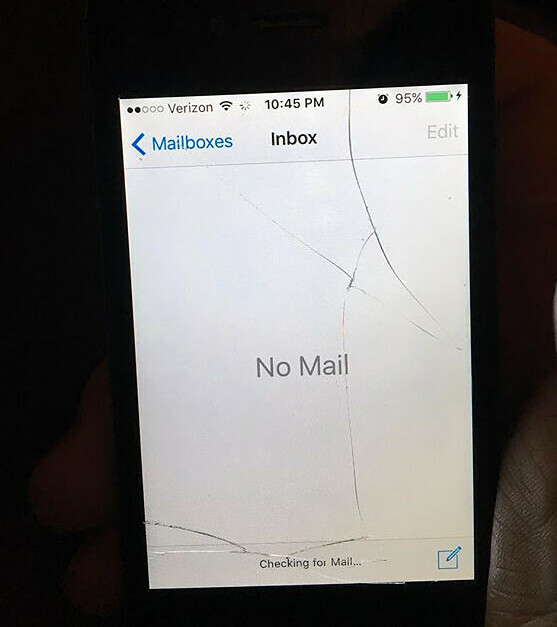 Frame is warped just enough to cause the wifi to stop working, unless you do the iPhone 6 twist, which is why the screen is cracked. 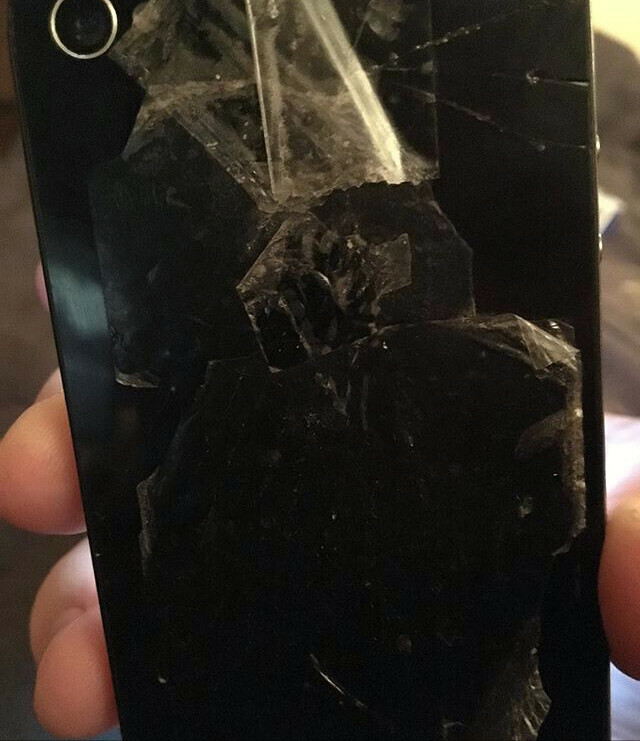 Back glass is shattered, being an aftermarket piece that is thinner than the stock piece. Comes with an aftermarket black USB dock cable. Will be wiped clean before being sent out. What version of iOS is it running? Looks like maybe... 9.something?? Hmm, I was hoping for 9.3.3 so I could downgrade to 6.1.3. Oh, well, it might still be interesting; I have a straight frame and decent battery from a white 4s with a bad logic board that would probably rehabilitate it nicely. It'd still need a new screen and back, though, but those are easy and cheap enough to get. Unless I want to make it white, since I already have all the necessary bits in that color. I just discovered, in one of my many junk drawers, a black 4s that's in very good physical condition which has been affected by iCloud Lock syndrome. It should be a straight board swap! I have another that belonged to my mother that only has a damaged front glass. That one might be a better choice, considering that the 4s I originally posted did finally crap out on its own this weekend. Only issue is that it's a 16GB phone. I don't remember if it got upgraded all the way to iOS 9.3.5 when I wiped it or not. May've only been upgraded to 9.0 or something like that. It'd come with my sister's original white 4s which didn't get iCloud locked, but was reported lost by her to Verizon, then we found it in the sofa cushions about 8 months later, along with my niece's iPod Touch. So, the white one does have a bad ESN, but could be used as an iPod Touch. I'd just give them to you with the MBP and the Q650.